A couple of years ago, my husband and I ditched grains, gluten and went on a lower carb diet. He had gotten some bad test results back, and we decided to make some major changes to our diet to help him lose weight and improve his health. I have PCOS, and I’d read that a gluten-free diet was supposed to be good for that as well. I felt that it would be a good change for both of us. After reading some Paleo blogs and books, I later decided to eliminate legumes. My husband did lose some weight, and his follow-up test results showed slight improvement. I thought we were on the right track. 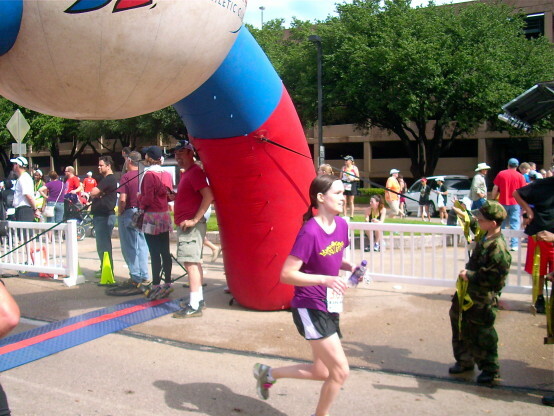 I started training for my first half-marathon that summer, and my energy level was okay. I did use energy gels on my runs longer than 8 miles. The night before the race, I “carb loaded” with some chow mein noodles. I felt really good during the race, until I hit a wall between miles 11 and 12. I managed to get going again and finish ahead of the pace group I started with. 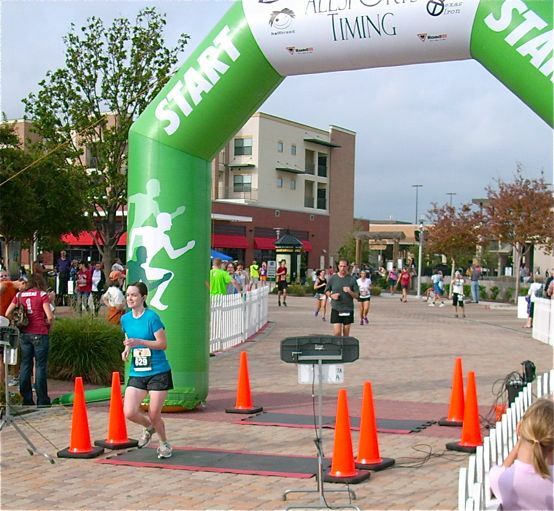 Being my first half-marathon, I felt like this was just due to my inexperience with proper fueling. We were still doing the lower carb thing when I ran my second half the following year. This race didn’t go as well. I was struggling energy-wise from around mile 6 to the finish. I just chalked this up to being undertrained. Moving on to my last half-marathon, which was in September of 2013. I don’t think I admitted it my race recap, but I wasn’t even two miles in before I started wondering what the heck I was thinking trying to run a half-marathon. I ended up walking a lot. I hadn’t gotten much sleep before that race, but I hadn’t gotten more than fours before any of my first three races either. I now know it wasn’t just exhaustion causing me trouble. After being on a lower carb diet for a couple of years, we caved and started ordering real pizza again occasionally. I’d share a large thin crust pizza with my husband, and still not have the energy I used to when running the next day. I was confused by that, and thought there must be something else going on. After all, I’d read that lots of endurance athletes actually excel on a low-carb/ketogenic type of diet. I started relying on energy gels to try to increase my energy, even on my six mile runs. It didn’t help, and sometimes it seemed to just make me feel worse instead of better. After my first DNS race earlier this year, I really started to question why I was having such a tough time with my running. Was my body just finished with running long distances? Was it because I was getting older? After reading about the slow carb diet, I decided to add legumes back into our diet. That didn’t seem to really help my energy levels any either though. Finally, I found my answer, and oddly enough, it was in the form of a weight loss book. I don’t even remember how I ran across the Forever Fat Loss book by Ari Whitten, but I’m really glad I did. Mr. Whitten is a metabolism expert, who is very knowledgable about hypothyroidism. My husband has hypothyroidism, so I was definitely interested in what he had to say in his book. He actually has an advanced program called Metabolism Supercharge, which is designed for people with hypothyroidism and metabolism dysfunction. We haven’t tried the advanced program though, so I can’t vouch for it. When I was searching for a diet book a couple of years ago, I never found one that seemed to address all of the issues I needed it to. His book basically told me that I was doing the exact opposite of what I should have been doing for both my husband AND myself. I am being totally honest with you when I say that his Forever Fat Loss book made more sense to me than any other diet book I’ve ever read. The goal is to help people get people away from low calorie and low carb diet traps and help them lose weight in a sustainable way. Hence the name, Forever Fat Loss. I thought it would be good for my husband, but it also opened my eyes to just how dumb I had been for the last couple of years. His book addresses all of the issues regarding fat loss, from activity level to what you eat. It is NOT what I would call an elimination diet, although he does recommend that you minimize certain foods like legumes and nuts. He also says to make sure that they are properly prepared (soaked/sprouted) if you just have to have them. This book isn’t about calorie restriction either. He wants you to eat according to your biological need. Real whole foods, not the processed junk. Carbohydrate restriction can lead to lower thyroid function and a slowing metabolism, according to Mr. Whitten. Your body needs carbs to convert T4 into active T3. So, I really wasn’t helping my husband by preparing lower carb meals. In addition to that, I wasn’t doing my own health any favors. I finally realized that my body was undernourished for what I was asking it to do. Plain and simple. The book doesn’t recommend counting carbs, but I did track mine for a couple of days after I added some fruit and potatoes back in. I just wanted to get an idea of how many I was getting. I was stunned. I had thought all along that we were just doing lower carb, not low-carb. Without the fruit and potatoes, our carb levels had to be seriously low. I never tracked them, but there is no doubt in my mind now that they were. It was kind of funny that around this same time I happened to read an article on Chris Kresser’s website titled “Are you lower carb than you think?” It talked about a guy who was a member of a SWAT team in a major city. After a few months on a low-carb Paleo type diet, this guy started suffering from fatigue and was now bonking in his workouts. Turns out, he wasn’t eating a moderate carb diet like he thought. He was actually eating very low carb. The article also included a chart that is supposed to help give you an idea of how many carbs you should consume based on your health needs and activity levels. According to this chart, I should be consuming no less than 150 carb grams a day. I know I wasn’t anywhere near this most days. No wonder, my running has suffered. I feel like the person on the V8 commercial, the one that gets smacked upside their head. Like, duh! I wish I’d realized this sooner, but I stuck to it for so long because I thought it was good for us. Anyway, after following the recommendations in Forever Fat Loss for a few weeks, I started feeling much better on my runs. Before, I would find myself walking a lot and taking an energy gel along on a 6 mile run/walk. Now, I can run the full six miles again, and I haven’t taken a single gel with me. Instead of the “healthier” snack bars I used to eat before my workouts, I now make smoothies using bananas, berries and dark sweet cherries. I eat regular potatoes pretty much every day, and I haven’t gained any weight. Do not fear potatoes people! That seems to be the best food I’ve found that helps give me the energy I need for my workouts. We do occasionally eat gluten, grains and legumes, but it’s not an everyday thing. I should note that Ari Whitten isn’t a fan of what some people refer to as “chronic cardio”, but running is just something that I really enjoy. His book was a bit of a wake-up call for me, and I’m glad that I found it. For me and my husband. Running was a real struggle when I was doing low-carb, but I’m feeling more like my old self with each run. My husband has lost weight, and his latest blood work showed a bigger improvement than when we were doing low-carb. Win Win! I also want to note that I’m not saying that low-carb diets are completely bad. Research has shown that low-carb and ketogenic diets can be beneficial for people with certain health problems. After everything I’ve learned, I just don’t think it’s good for everyone and probably not something most people should do long-term. Have you ever tried a low-carb or ketogenic diet? If so, what was your experience? Posts contains affiliate links. If you purchase a product through an affiliate link, your costs will remain the same, but I earn a small commission. This helps to cover the costs of this site. Thanks for your support! I purchased the Kindle version of this book myself, and all thoughts and opinions are my own. I have been pretty faithful doing low carb for awhile now and, though I lost 23 lbs the first week, nothing now for weeks. I’m fine during my morning jog and weight-lifting but my energy levels fall in the afternoon. I’m ready to quit the low carb thing but don’t know where to go from here as I still want to lose weight. I eat all organic, so junk food is not a problem…just count calories maybe? I only have 20 lbs left to lose! So frustrating!! Hi Angie. My husband lost some weight, then stalled on the low carb thing, too. I know it has to be extremely frustrating to have that happen, especially when you are so close to your goal. I’m not a fan of calorie counting myself. Here’s a good blog post by the author of the book above that explains things better than I ever could. I truly wish you all the best in your weight loss journey!